Play on the River - There is no better way to experience the beauty of the Russian River than to take a trip down it. There are a number of easy drop/pickup locations. You could tour the inland sections or travel the coastal environment further downstream. This spectacular redwood forest offers something for everyone. Casual strolls, long hikes, horseback riding, fishing, car or backpack camping, picnicking, biking and more. 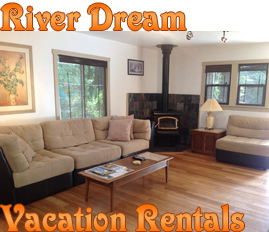 Camping - Don't miss out on a camping trip to the Russian River. View all the details here. Ten Nature Hikes - A guide to exploring the Russian River ecosystems on foot. Biking - Tours and rentals, maps, rides, races and more. RussianRiverTravel.com/Events: the official resource for the best of what is going on. Browse to find the most exciting and fun events to plan your trip around. 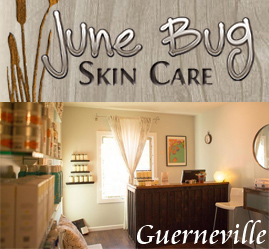 Facials, full body waxing, special occasion make-up design, and more. Open Monday through Saturday. 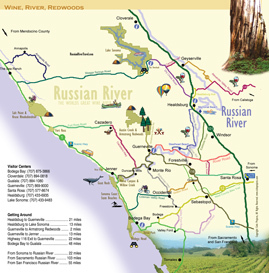 The Russian River is located a short drive from the San Francisco bay area and Sacramento. For over a 100 years it has been the preferred getaway for these cities. Come for the wine, river, redwoods and coast. Come to relax in the grandness of nature.